Transient Hypothyroidism: Causes and Cures | Crank It! Transient hypothyroidism, as the name suggests, is a temporary type of hypothyroidism that can affect both adults and new born infants. Transient congenital hypothyroidism is transient hypothyroidism in new born babies, notably premature and low birth weight infants, and is more common than you’d expect. Around 10 to 20% of new born infants have this type of hypothyroidism but most are producing normal levels of thyroid hormone by the time they’re several months old. A study in Italy found that in half of infants diagnosed with transient hypothyroidism the culprit was excessive exposure to iodine either in utero or at birth. An iodine rich medication called amiodrarone is used to regulate heart rhythm. If either the mother, or the fetus, are given this it can disrupt thyroid function in the unborn infant. Other sources of iodine that have the ability to interrupt neonatal thyroid function include use of iodine based disinfectants (ie povidone) during the birthing process, for treating the umbilical stump, and disinfecting skin (injection sites, surgery). Further to this, an iodinated contrast substance may be injected to highlight major veins so they show up on radiographic equipment. Insufficient iodine can also cause transient hypothyroidism in new born infants. Premature babies are especially susceptible to this due to an immature HPT axis that is unable to produce enough thyroid hormone. They also have a reduced capacity to convert T4 to T3. A third of the cases in the Italian study were attributed to placental transfer of maternal TSH receptor blocking anti-bodies during pregnancy. Notably this occurs in mothers that have some form of autoimmune thyroid disease themselves. These anti-bodies block the TSH receptors in the baby’s thyroid gland, preventing it from producing its own TSH. This type of transient congenital hypothyroidism begins to correct itself between 3 and 6 months as the mother’s anti-body levels reduce. Some anti-thyroid drugs may also cause transient hypothyroidism in the fetus if they cross the placenta during fetal development. The drop in the infant’s thyroid hormone production is usually short-lived – from a few days to a few weeks after birth. However, in severe cases it can cause the thyroid glands to become enlarged to the point where they affect the baby’s airways. In most developed countries advanced newborn screening (NBS) programs done between 2 and 4 days of age will now pick up thyroid abnormalities, allowing for appropriate treatment as required. Where such programs are not available the effects of transient congenital hypothyroidism are usually not seen until several weeks after birth because the infant is temporarily protected by maternal thyroxine received during gestation. 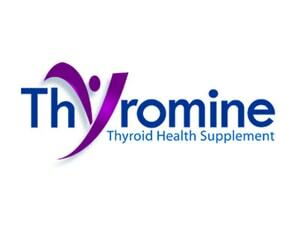 However, as this thyroxine drops away deficiencies in the infant’s own thyroid will start to become apparent. As babies can also be born with either permanent congenital hypothyroidism or secondary or central hypothyroidism, the first step with infants diagnosed with thyroid abnormalities is to establish what type they have. Infants returning results consistent with either of these will be started almost immediately on thyroid medications and will continue to require these for the rest of their lives. Those with NBS results strongly indicative of transient hypothyroidism are usually re-screened after a couple of weeks and if hormone levels are within normal range will not generally require any treatment. Those who are still abnormal ie showing high TSH levels, will be started on thyroxine treatment to prevent brain abnormalities but will be re-assessed at 3 years of age. This is due to the fact that with these cases, at this age, it’s almost impossible to determine whether they have the transient or congenital form of the disease. Therefore treatment is started as a preventative because elevated TSH levels persisting beyond 4 weeks of age affects the development of the brain. For more information about treatment options for infant hypothyroidism based on results of NBS testing visit this link. 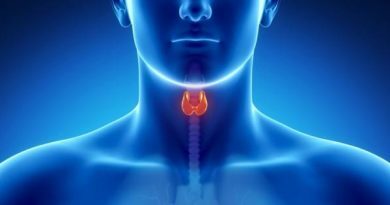 In most cases, thyroid function returns to normal after a period of time with treatment. However, in some cases it may become permanent hypothyroidism.